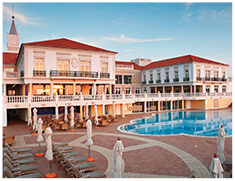 5 star luxury resort hotel with unique views of the Atlantic Ocean or the golf course and gardens. 5 star apartments with direct access to the beach, overlooking the ocean and the golf course. 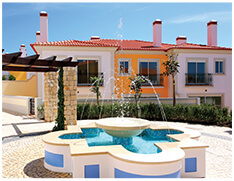 4 star apartments with beautiful gardens and next to the golf course or the beach. Praia D’El Rey is arguably one of the most stunning golf courses in Europe. Set among extensive pine forests and undulating dunes, with spectacular views over the Atlantic and the Berlengas Islands beyond. The 18-hole golf course was designed by the renowned American golf architect Cabell B.Robinson and was inaugurated on 14th June 1997. Deep bunkers, sloping greens and sandy dunes contrast sharply with the lush fairways, making it the complete golfing challenge. Praia D’El Rey is rated amongst the top golf courses in Europe by Golf World Magazine and is one of Portugal’s major golfing destinations for both private and sponsored events. Copyright © 2017 Praia D'El Rey Golf & Beach Resort. All rights reserved. 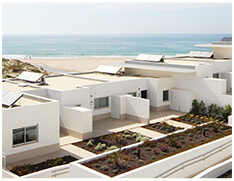 Given that the new rules provided for in the General Data Protection Regulation (GDPR) will become applicable on May the 25th, the Praia D’El Rey Golf & Beach Resort informs that an internal project is already under way to adapt the Hotel to the new requirements for the treatment of personal data of natural persons, which is of particular importance for us and all of our partners.